Your have conducted a project of restoration, enhancement or reuse of religious heritage between 2014 and 2016? 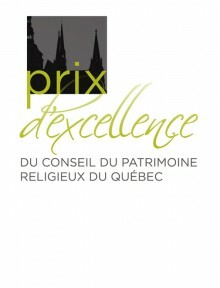 It's time to prepare your application for the Quebec Religious Heritage Council's Awards of Excellence. The deadline for receipt of applications is August 26, 4 pm. Awards will be presented at the Forum on Religious Heritage on November 3, 2016.